Congratulations! You've earned a credit for free Lamplighter Products. Purchase 6 books, and you earn credit toward 1 additional book or Dramatic Audio ($25). Purchase 12 books, and you earn credit toward 2 additional books or Dramatic Audios ($45). Purchase 20 books, and you earn credit toward 3 additional books or Dramatic Audios ($70). To see the credit towards your free products, add all your selections to the cart. For instance, add 7 books to your cart to see the credit for 1 free book or Dramatic Audio, or add 14 items to your cart to see the credit for 1 book and 1 Dramatic Audio. 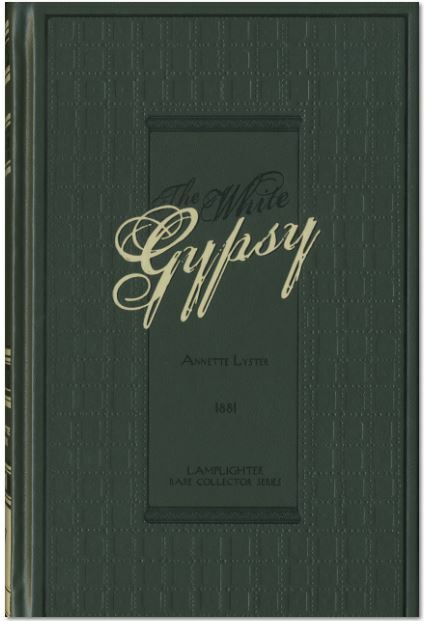 Only valid for individual pricing of Lamplighter Rare Collector series books and Dramatic Audios. Share this product and receive a $0.86 sharing discount. 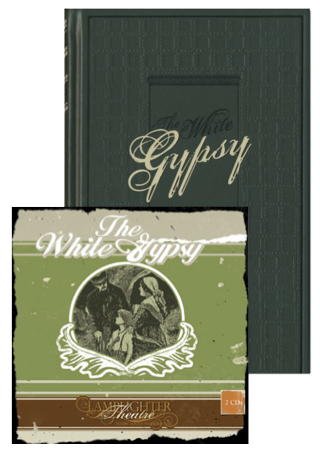 Purchase the dramatic audio and book of The White Gypsy together and save $7! It is often when tragedy strikes that we discover our true identity. This story will captivate you from the onset, as a tragic event sets the stage for redemption in ways you least expect. You will find a mother with a broken heart and shattered dreams, who clenches so tightly to what she has left that she suffocates herself and her youngest son. Gilbert, wrought with jealousy and fear, is overcome by Willie's courage, sensitivity, and self-sacrifice. A great mystery surrounds Willie's life, and each unnerving clue brings him closer to discovering just who he really is. add a Donation to your Order. Lamplighter is a 501 c(3) non-profit organization dedicated to "building Christ-like character ... one story at a time." Your gifts and prayers are essential to the completion of the work we are commissioned to do.